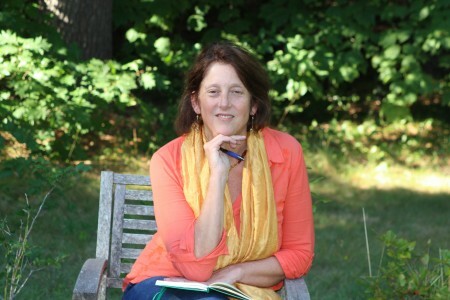 Annie Finch is the author of six books of poetry, most recently Spells: New and Selected Poems (Wesleyan University Press, 2013). Her poems have appeared in journals such as Poetry, Harvard Review, and The Paris Review and in anthologies such as The Norton Anthology of World Poetry, The Penguin Book of the Sonnet, and The Penguin Book of Twentieth-Century American Poetry. Known for her mesmerizing and moving readings and her ability to connect with her audience through poetic rhythm, Annie has performed her work widely. Get to know Annie. Andrena Zawinski’s poetry has received accolades for free verse, form, lyricism, spirituality, and social concern. Her latest poetry collection, Landings, is from Kelsay Books (Hemet, CA). She has published two previous full collections of poetry: Something About (Blue Light Press, San Francisco, CA), a PEN Oakland Josephine Miles Award recipient, and Traveling in Reflected Light (Pig Iron Press, Youngstown, OH), a Kenneth Patchen competition winner. She has also authored four chapbooks and is editor of Turning a Train of Thought Upside Down: An Anthology of Women’s Poetry (Scarlet Tanager Books, Oakland, CA). She founded and runs the San Francisco Bay Area Women’s Poetry Salon and is Features Editor at PoetryMagazine.com. M.J. Iuppa is the Director of the Visual and Performing Arts Minor Program and Lecturer in Creative Writing at St. John Fisher College; and since 2000 to present, is a part-time lecturer in Creative Writing at The College at Brockport. Since 1986, she has been a teaching artist, working with students, K-12, in Rochester, NY, and surrounding area. She has three full-length poetry collections, most recently Small Worlds Floating (2016) as well as Within Reach (2010) both from Cherry Grove Collections; Night Traveler(Foothills Publishing, 2003); and 5 chapbooks. She lives on a small farm in Hamlin NY. Erica Goss served as Poet Laureate of Los Gatos, California from 2013-2016. She was born in Germany and raised in California. She has been writing poetry since she was a child. Her latest poetry collection, Night Court, won the 2016 Lyrebird Prize from Glass Lyre Press. She is the author of Wild Place (2012, Finishing Line Press) and Vibrant Words: Ideas and Inspirations for Poets (2014, Pushpen Press). Maureen Fadem completed a PhD in English at The Graduate Center/CUNY and is now Assistant Professor of English at CUNY’s Kingsborough Community College. She has also taught at Eugene Lang College, Hunter College, Baruch College, and SUNY Old Westbury. Her research interests include Partition and Postcolonial Studies, Gender Studies and Women Writers, with specializations in Irish, South Asian, and African-American literatures. She has contributed chapters to multiple scholarly anthologies and her articles, book reviews, and interviews have appeared in a number of journals. Maureen’s first book, The Literature of Northern Ireland: Spectral Borderlands, was published by Palgrave Macmillan in January, 2015.